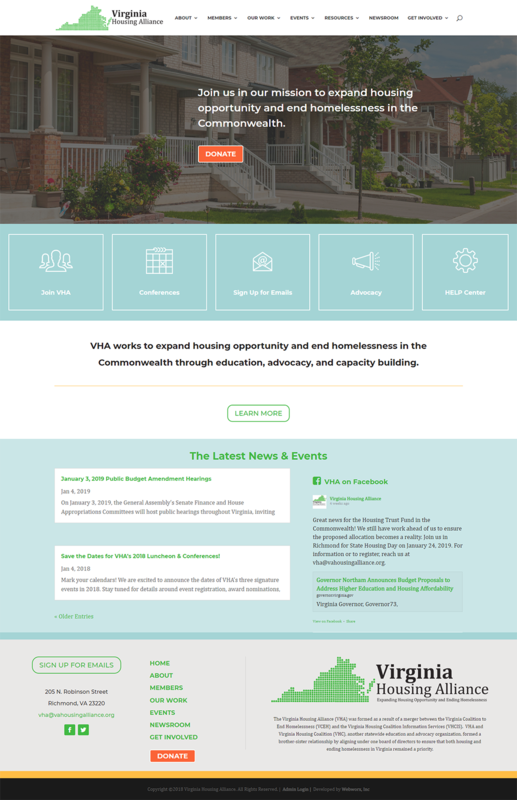 New Website Launch - Virginia Housing Alliance! - WebWorx, Inc.
WebWorx is proud to announce the launch of our latest project for Virginia Housing Alliance. The Virginia Housing Alliance (VHA) is the statewide leader in advocating for the expansion of housing opportunities and ending homelessness in the Commonwealth by empowering people on the front lines through education, training, and technical assistance. You can view the website at Virginia Housing Alliance.